Living as you do amid the desert of Sindh country, imagine the monsoons in Calcutta. In this letter, I remind you of Bengal’s rain…Ponds swelling with water, mango orchards, wet crows, and ashadhe tales. And if you can recall Ganga’s bank, then think of the cloud’s shadow on the streaming water and of the Shiva temple located within the peepul tree under the cloud cover. Think of the veiled village women who fill water from the backside banks, getting drenched as they make their way home through the bamboo briars, passing paathhshalas and cowsheds; think of how the rain splashes in from a distance by placing its feet over the waving crop fields; first on the mango orchards at the end of the field, then on the bamboo backwoods; next, every single hut, every village fades out behind monsoon’s transparent cover, little girls sitting before huts clap and invite the rain with their songs—ultimately, the downpour captures all land, all forest, all village into its snare. Unceasing rain—in the mango fields, bamboo bushes, river; on the head of the boatman sitting crumpled as he flinches while wrapping his blanket. And in Calcutta rain falls at Ahiritola, Kansharipara, Teriti Market, Borobazaar, Shova Bazaar, Harikrishna’s Lane, Motikrishna’s Lane, Ramkrishna’s Lane, Zigzag Lane—on mansion roofs, shops, trams, the head of buggy coach drivers and so on. These days it doesn’t rain heavily, like it used to in our childhood. Today’s rain has no grandeur of the past, it is as if the monsoon season is focusing on economy—it’s on its way out after sprinkling a little water—just some gluey mud, some drizzle, a bit of inconvenience. One can manage the entire rainy season with a torn umbrella and a pair of shoes from the China bazaar. I don’t see the revelry of the yesteryears thunder, lightning, rain, and breeze. Rains of the past had a song and dance, a rhythm and a beat—these days monsoon seems to be gripped by the jaws of ageing, by ideas of calculation and bookkeeping, by concerns of catching a cold. People say it’s only a sign of me growing old. …I remember, during rainy days I would run across our sprawling verandah—the door banged with the wind, the giant tamarind tree shook with all its darkness, the courtyard welled up with water up to one’s knees, water from four tin taps on the terrace gushed forth with a thud to join the courtyard water…Back then flowers bloomed on our keya tree beside the pond (the tree is no more). During the rains, when the steps on the pond’s bank vanished one by one, finally the water flooding in to the garden—when the clustering heads of the bel flower plant stayed upright above the water and the pond fish played around the water-logged trees in the garden, at that time, I raised my dhoti to the knee and imagined romping around the garden. In rainy days, when one remembered school what a gloom clasped one’s heart, and if Mastermoshai ever knew what one thought upon suddenly spotting his umbrella at the end of the lane from one’s verandah…I hear these days many students think of their teachers as friends and dance with delight at the thought of going to school. Perhaps this is a good sign. But it seems there are a growing number of boys who don’t love play, rain, home, and holidays—boys who don’t love anything in this wide world besides grammar and geographic descriptions. The sharp rays of civilization, intellect, and knowledge, it seems, is making the population of innocent children dwindle, replacing it with precocity. Your post is filled with romanticism, Bhas, especially around the fringes of the simple and ungainly.And over here when you wrote: “Today’s rain has no grandeur of the past, it is as if the monsoon season is focusing on economy—it’s on…”What a brilliant insight for the rest of the world that was. Bhaswati, one feels enveloped within the special quality of your blog – a benign thoughtfulness and a gentle but inspiring mastery of the craft. Look at this: a letter with touching imagery and emotions, your brilliant choice that perfectly matches this blog and your own writing, not the least. One is truly gratified. Those who live far from the Monsoon lands can only imagine about it…M..o..n..s..ooo..n! 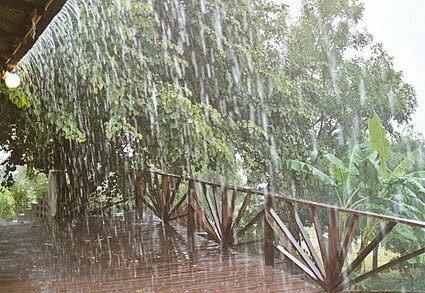 I wrote the first rain-memoir- a short one…may be we should get on with collecting them?! Hi Abhay, Yes, to miss the monsoon is to miss some magic. :)Good to know you wrote your memoir. I’d love to read it. Would you like one from me for the collection?